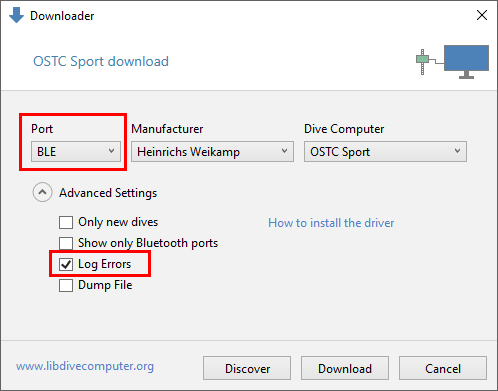 Make sure the dive computer is as close as possible next to your Bluetooth receiver and the dive computer is in Bluetooth mode, then try to download. If it does not work, send me the error log by clicking the blue “Error Log” link which will show up. If it works, please let me also know (email or comments). When you click on “Discover”, you will see the paired and unpaired devices. If you have more than one paired dive computer of the same manufacturer, you have to click “Discover” to pick the right one. When creating your own layout files, the file size increased constantly because of some garbage that was saved (AvailableItems list). This has slowed down the performance of the logbook window. Diving Log now clears this garbage automatically when you save a layout file. 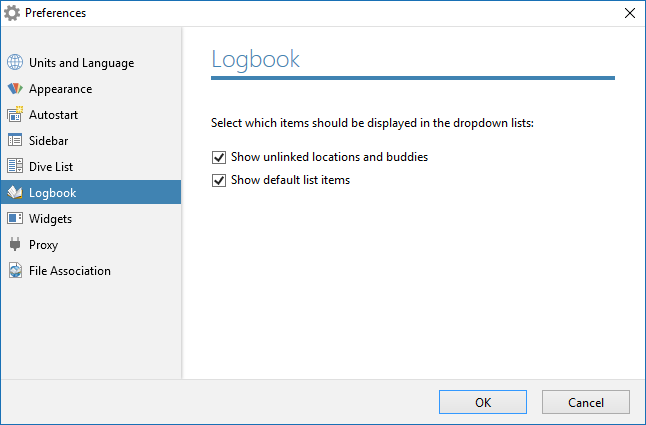 If you’re using your own logbook layout, I recommend you save the file again to clear up any potential garbage and increase the window loading performance. 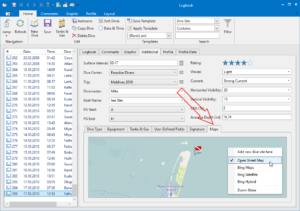 You can now download and import your dives from the Deepblu Cosmiq online logbook, using the new sync function in the “Web” toolbar menu. 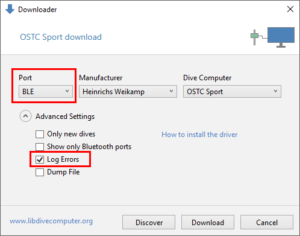 A direct download from the dive computer to Diving Log is not possible at the moment, so you still need the Deepblu app on your phone or tablet. 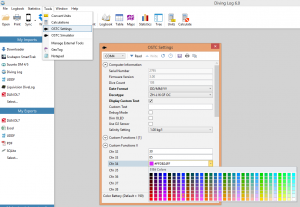 Special thanks to Sander Van de Moortel, who provided the necessary information to create this downloader! 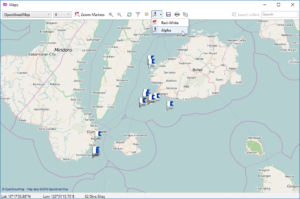 Jef Driesen from libdivecomputer did a great job and added download support for the Scubapro Galileo G2 via USB. Please note, if you want to download the G2 with Diving Log, you have to download an additional zip file and copy the contents to the Diving Log program folder (overwriting the existing files). I cannot deliver this version with the automatic update at the moment, because it breaks the downloader for Atomic Cobalt users. If you want to support Jef and libdivecomputer, please click the “Donate” button at the bottom of the project page. 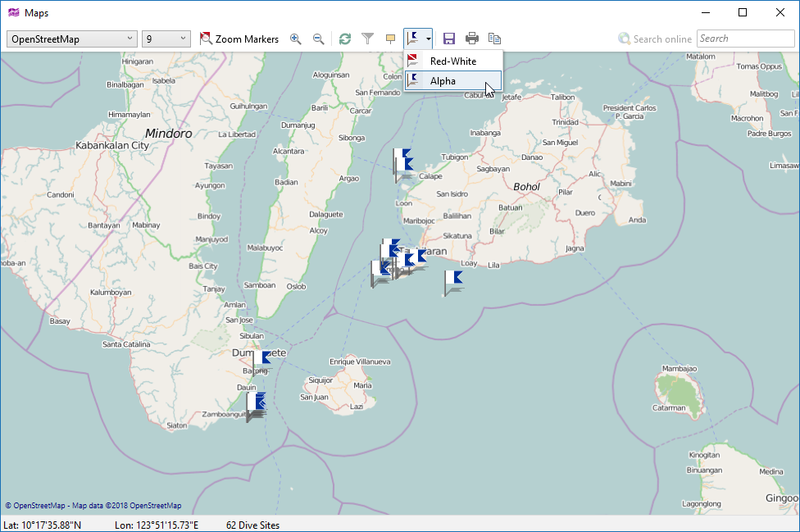 I’ve also fixed the Google Satellite map view in the dive site map window. 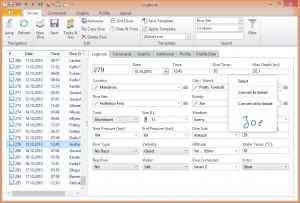 The LogTrak import is optimized for the G2 data and the Mares Dive Organizer import updated to the latest format. 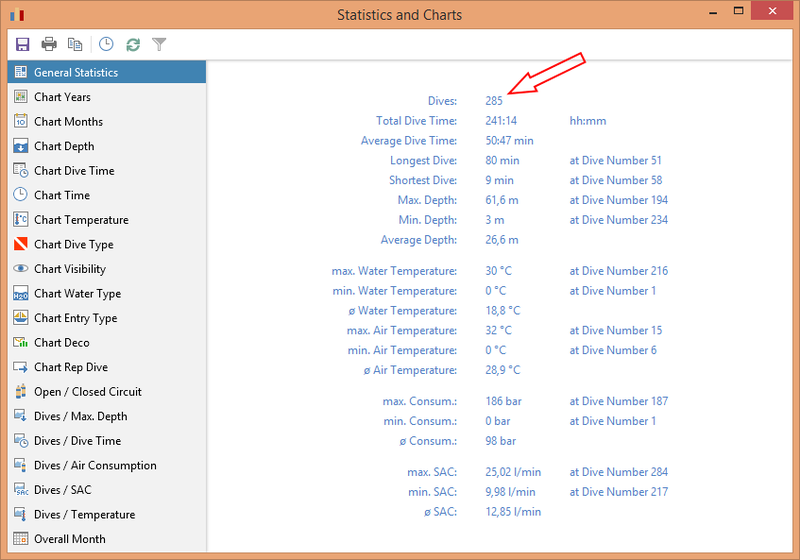 The Surface interval calculation is fixed for inverted dive list ordering. Because of the XML security issue you should update to Diving Log 6.0.9 before opening any XML based files (e.g. UDDF or layout files) from untrusted sources. Those files could contain malicious code that would be executed when reading these files with older Diving Log versions. 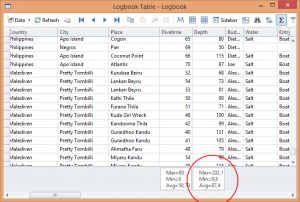 This issue has been fixed in Diving Log 6.0.9. 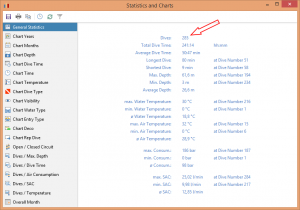 The latest libdivecomputer version supports also the Ratio iX3M Firmware 4.0, which was released recently. 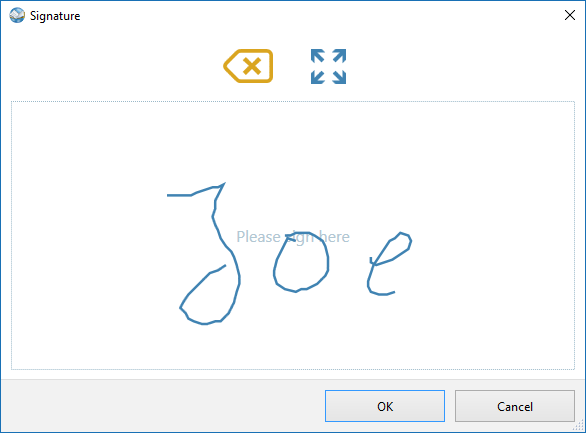 The buddy signature tool can draw now real “dots” when clicking or tapping. 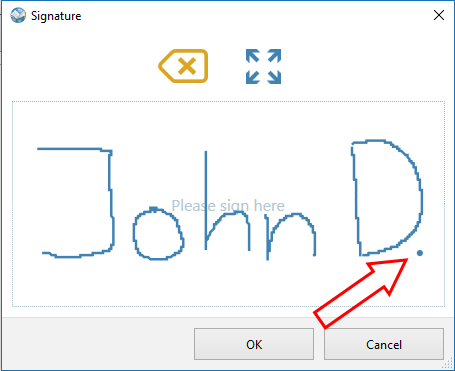 The next signature version will have also a higher resolution format to improve the quality of the strokes. The red cursor line in the profile graphic can now be moved with the arrow keys on your keyboard. 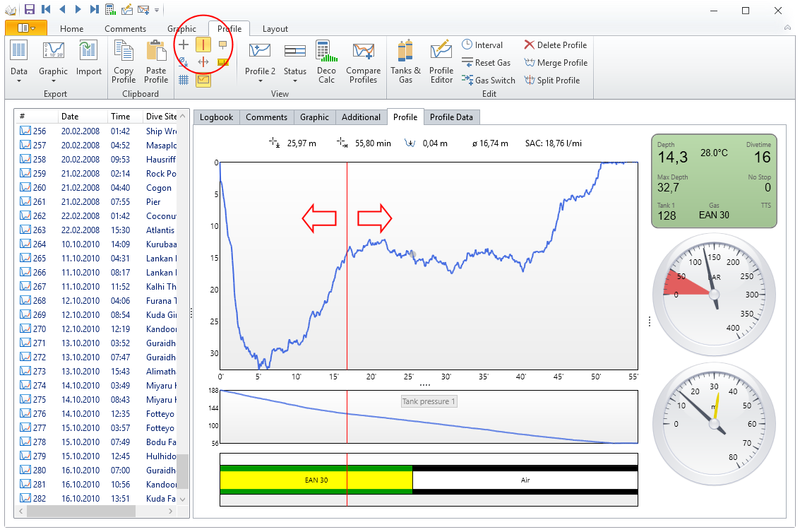 The HOME and END keys jump to the start and end of the profile. 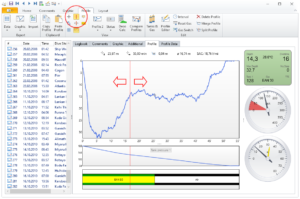 The arrow keys will snap to each profile point, which is great for analyzing the profile point by point. 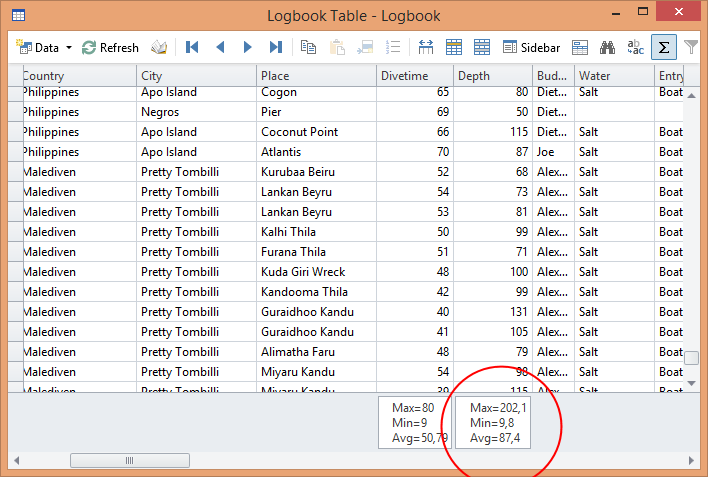 The logbook window had also some performance issues in the past which are now fixed, e.g. 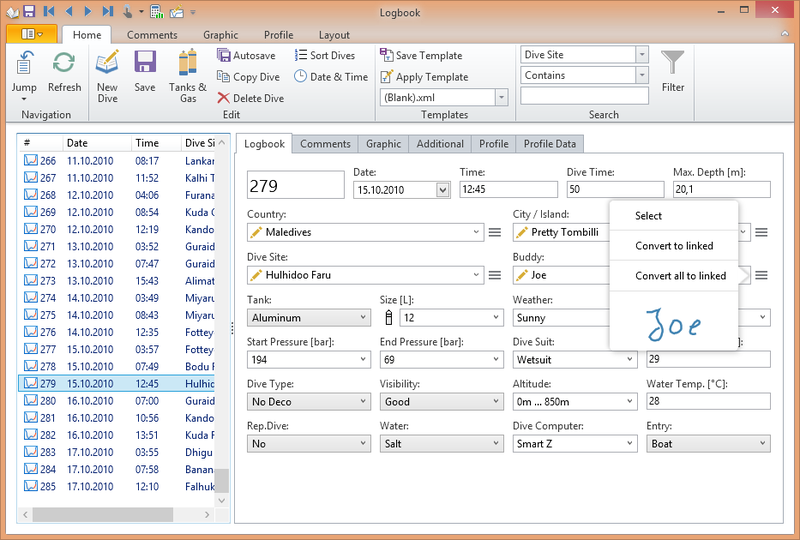 fast typing (especially comments), fast navigating within the dive list or the profile crosshair. The root of these performance issues was the drop shadow below the ribbon toolbar. Once I’ve removed the shadow effect, the performance issues were finally gone. The new Facebook Share feature from version 6.0.7 was not working correctly on high DPI screens. This has been fixed in this update as well. 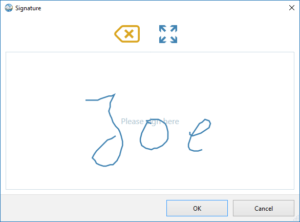 Signing dives on touch screens with a pen is now easier, because you can switch the signature window into full screen with the new touch optimized toolbar. This avoids any accidentally taps on other controls. 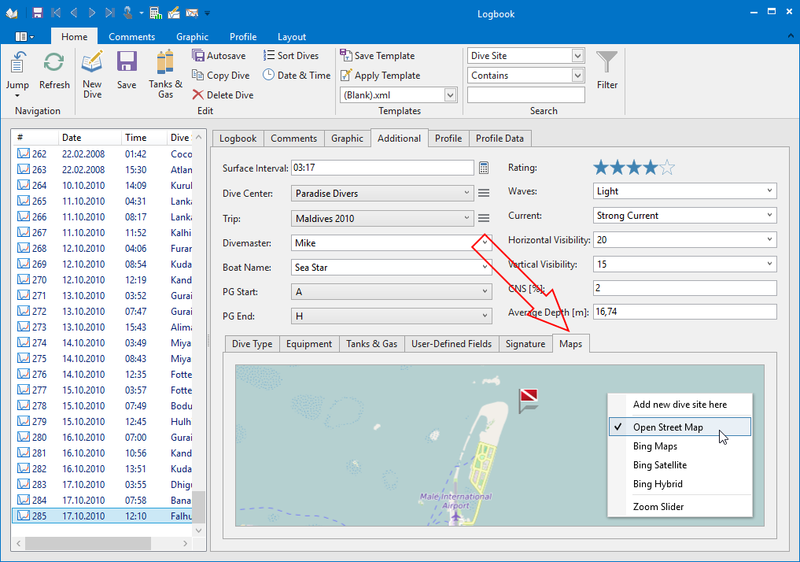 And last but not least great news for Cochran users: you can finally import *.can files from Cochran Analyst® into Diving Log! 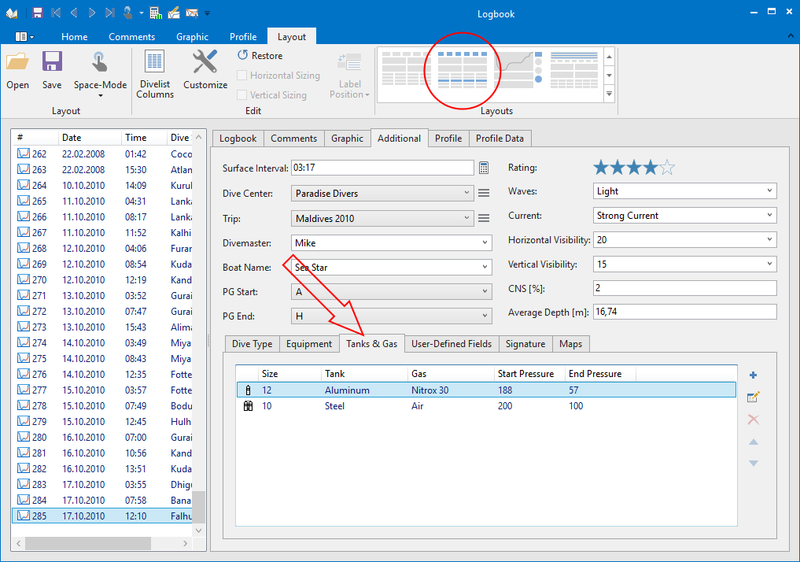 You can now include the “Tank & Gas” list directly in the logbook window. 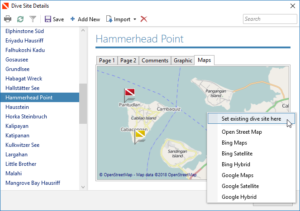 Additionally you can add a map view to your logbook layout, which automatically shows the dive site of the currently selected dive on a map. I’ve updated the “Extended Layout” which now includes both new items. 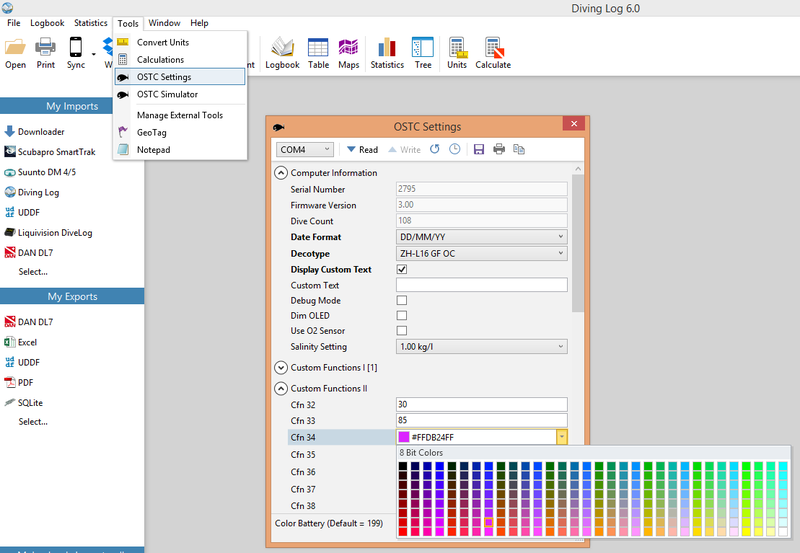 In the screenshots below you can also see the new Office 2016 theme, which you can select in the preferences dialog. 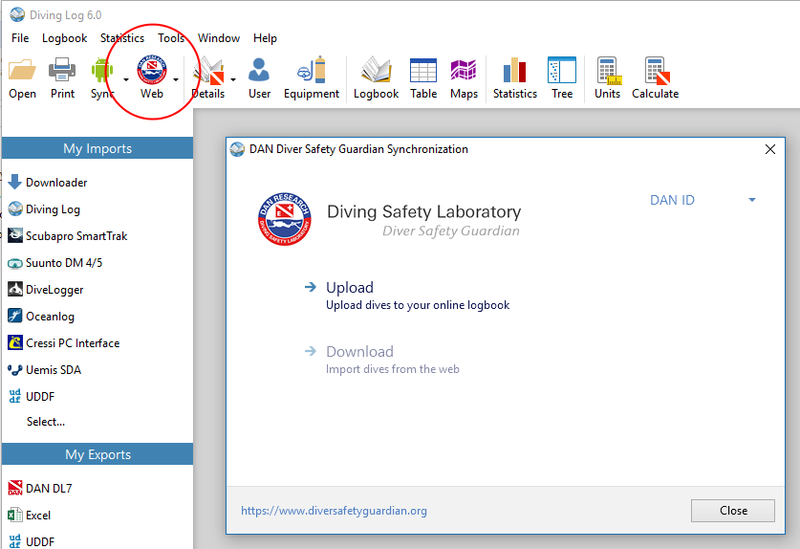 You can now upload your dives to the DAN Diver Safety Guardian website, for additional decompression risk analysis and statistics. Read more about that feature on this page. 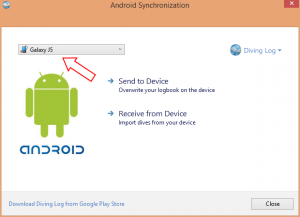 If the Android USB sync dialog did not show your connected Android device, please try it again. In this update I’ve improved the device lookup and it should now show up. 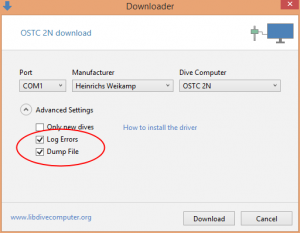 There are also improvements in the dive computer downloader as well as the latest libdivecomputer library. 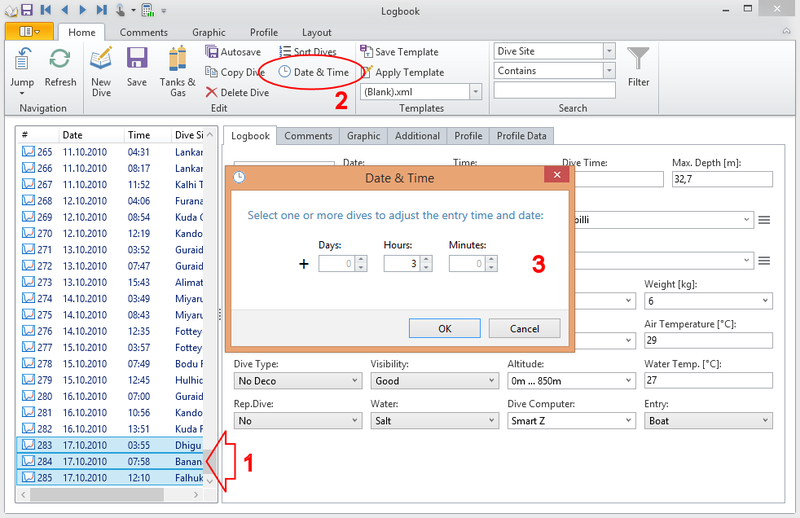 You can now also drag and drop Diving Log logbook files (*.mdb) to the main window to quickly open them. 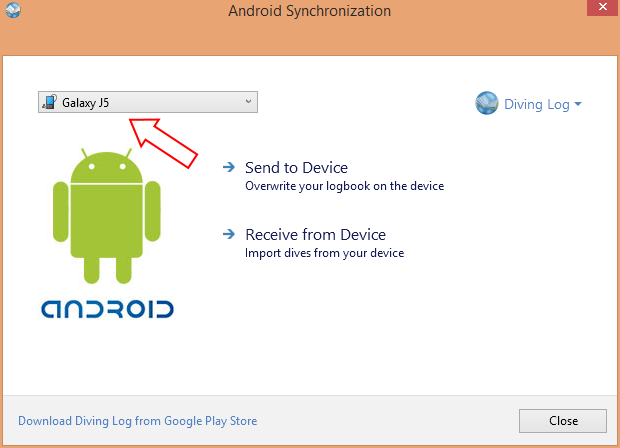 Syncing with Android devices via USB is now a lot easier. 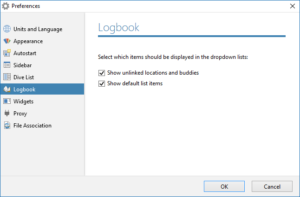 In the past, you could not save your logbook file directly to the device when it was connected in MTP mode, which almost all devices do nowadays. 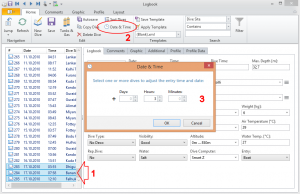 Instead you would have to save the file to the PC and copy it manually in Windows Explorer. 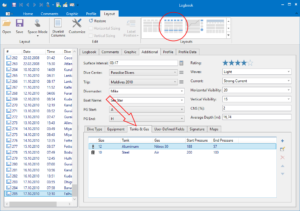 All you have to do is expanding the “Advanced Settings” section in the downloader and check the “Log Errors” and “Dump File” checkboxes (the “Dump File” box is only visible when the “Log Errors” box is already checked. For some dive computer models this function is not available). 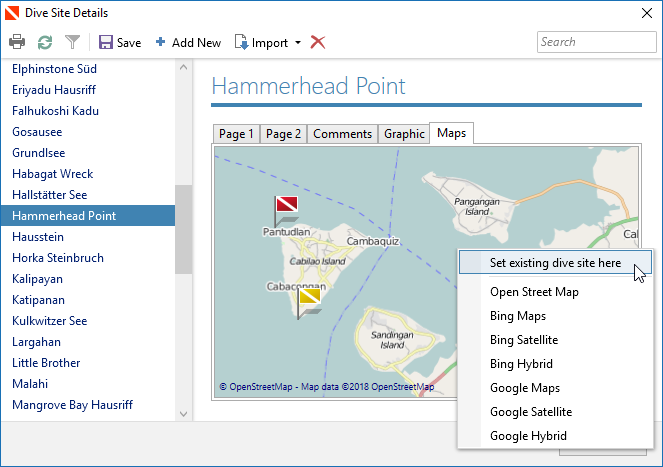 When both options are selected, you can download your dive computer normally. After the download, Diving Log will package the error log and the dump file into a zip file and prompt you to save the file to your PC. Then you can email it to Jef or me. Previously, the signature popup was only visible for linked buddies (those with a chain icon). Now it is also available for unlinked buddies (with a pencil icon). 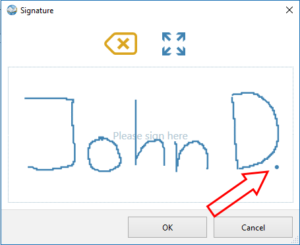 That way you can easily view signatures without adding the signature field into your layout.